I saw this city cruiser/scooter in Kuwait City.... Interesting, isn't it? I laughed so hard with my sister because the driver was wearing Kuwaiti custom full with the head gear (ghetra/head cloth+ ogal/head band)! Oh and by the way... the Arabic writing translates to "dont make traffic jams an issue/problem!" I was out with my friend, Joanne, when she said something about the caste system.... IN KUWAIT! Ansam: What? Caste system in Kuwait? Really?? Jo: YEAH! Come on... Sunnis? Shiites? Social classes? Jo: Would your parents let you marry someone outside your social class or marry someone with different religious beliefs or sectors!? Jo: You see?!! You DO have caste system in Kuwait! Ansam: Its everywhere but its not that bad in here in Kuwait! We dont have the outcastes - "untouchables"!!!! Jo: BEDOUNS!!! They are not allowed to travel or go to school or even work!!!! Jo: See!! There you go! What do you all think? Do we have "Caste System*" in Kuwait? 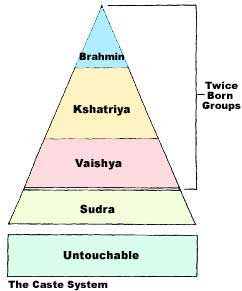 *I studied about the caste system back in college in one of my anthropology classes, you can click on it above to learn more. * Almost all speed cameras are facing opposite directions... have you noticed that? The ones that used to take pictures of the cars' front is now taking pictures of the cars' back... and vice versa! * Weather do change people's attitudes! Somehow I feel that they are nicer... in regards to sales people and waiters/waitresses in restaurants! Thats nice!! * Coffee Republic is an awesome cafe. I first dealt with them during the opening of FIVE60 and came to realize how amazing of staff they have and food/drinks quality. I was also invited to the opening of the Free Trade Zone branch and I hope they continue on this path of offering high quality food and drinks and maintain friendliness :-) They are awesome! * When I was closet cleaning.. I've decided to box whatever items of clothing I have not wore in more than a year and give it away. This method works best if you dont look back at those boxed items and reconsider keeping it... in the past I would be like "No! I cant give this away just yet, I will keep it! "But when you just box them away and never look back... it is much easier hehehehe. * A lot of bloggers quit writing comments back to the commentors! When they used to write back it gave you a sense of interactivity. On the other hand... a lot of my friends would comment on my posts by email or verbally when they see me! First time I heard this was when my sister sent it to my cell phone via bluetooth. I found it on youtube and wanted to share it with you all. It works best when you use headphones! Amazing! I LOVE IT! 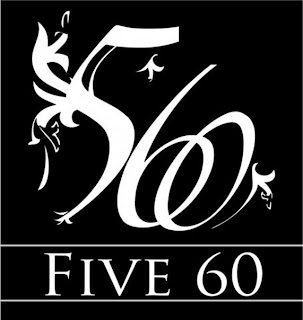 October 17th is the last day for FIVE60 opening. 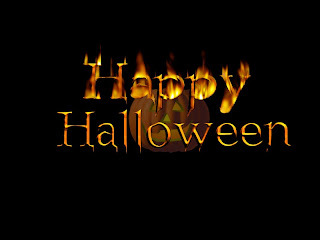 Its better if you come after 5:30pm... earlier is quiet quiet ;-) Hope to see you there! An introductory event for our new concept, an opportunity to tour our indoor showrooms and patio area, and a chance to get to know the main purpose of the group activities. "Ever thrown away a brochure, a leaflet, or a take-away menu thinking you wouldn’t need it again and ended up regretting it later on? The Paper Dump is exactly what the name suggests: a place where scraps of paper can be stored digitally so that you or anybody else can resort to them for or reference or information"
I just found a new thing to keep me busy... bazaar magazine! and 10% left on my battery... so *waves* buhbye for now!!! 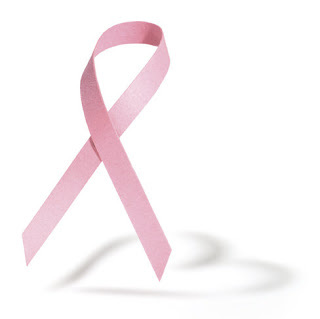 Breast cancer will affect 1 woman out of 8 women in a life time, the month of October is the month of breast cancer awareness in the world , doing breast cancer screening by a simple test called "mammogram" can save lives ,and give a family, a mother , a sister, a wife , a friend back to her loved ones . Breast Care Kuwait is non profitable group that launched breast imaging services at the breast imaging unit in Al-Sabah Hospital since 16 months, providing state of art, imaging facility and expertise to help early diagnosis and management of breast disease in Kuwait. 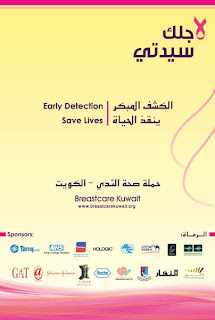 Since the launch of the website www.breastcarekuwait.org there is a 30 % increase in the number of women visited the unit. We are now launching a trial of breast cancer screening to promote the concept of early detection save lives, from the 7th–29th October 2008, with the assistance of Kings College Hospital National Breast Screening Programme Team/London UK, and looking to receive 120 cases per day. We will be launching for the first time digital connection of teleradiology trial to transfer films for review at Kings College hospital, and will have a team from Kings College present all through the period of the trial. The month will target women from different sectors of Kuwait’s society, and will contain multiple public educational functions, with media coverage, and scientific training course for the radiographers and radiologist from Kuwait and Gulf states. Shrek, Beyonce and Denzel Washington were all having lunch together. Shrek said, I've always thought that I'm the strongest man in the world, but how can I be sure? They all decided that the best way to find out if their beliefs were true was to ask the famed talking 'mirror, mirror on the wall' to confirm for them whether Shrek was the strongest, Beyonce was the most gorgeous and Denzel Washington was the sexiest. They agreed to meet again the next day for lunch to discuss their findings. What was all the fuss about! 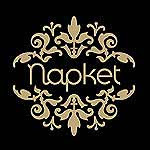 I kept reading BAD reviews about Napket... very negative ones! I really wanted to try it! And I did.. earlier today, and guess what? I LOVED IT!!!!! It started of when I was shopping around in the Avenues with my sister and I was telling her of all the bad reviews I have been reading about Napket - Kuwait on facebook, when she suggested that we should try it... and knowing me, the food lover that I am, I said "Sure! Lets go!" Our food arrived, but our drinks got mixed up! Nevertheless, the matter was solved shortly after, and the waiter kept checking on us... and asked as a couple of times if we needed anything or if everything was going ok! My penne was yummy... spicy, but I am not a good scale when it comes to spicy food since I cannot handle the "Rooster" or tobasco! LOL... I tried my sister's salad, and it was amazing! She also said her food was but I was to full to try it! I asked her to try mine since she can handle spiciness better than me and she thought it was just fine :-) Its an 8 out of 10 for me... 2 points off for their high price list and the juice mix up ;-P So I am sure there is an area for improvement! I think Napket is a new concept... a cut above any ordinary coffee shops here in Kuwait! A boutique kinda coffe shop that serves fast food! You know what I mean? Pricey? Yes... but other than that... I loved it, and I am definitely going back soon! As we walked in... my friend said, "wow I love the interiors" and I totally agreed... very high ceiling, two differently designed seating areas both of which were nice and modern, BIG windows that allowed the sun light in... and one original Tatami (their private room, which you would really sit on the floor the Japanese way!). At the entrance, there are two glass walls with some Japanese Calligraphy -with their English translation) some traditional clothes, such as a kimono, hanged on the walls in a piece of art kinda thing, and lots of artifacts and eating utensils on the squared shelves that divides the two seating areas. We chose to sit by the windows were there was more sun light in... The staff greeted us just fine, and guided us to our table. The menu resembles that of Wasabi, so it was clear and with thorough description... the waitress was also helpful suggesting food items for us to try. For appetizers we picked four items... Edamami, Crab Salad with Osaka Apple Sauce, Ebi Shitake Tempura, and Osaka Crackers! The first two were good, but the crackers were something new to me.. since I did not try anything similar to it in any Japanese restaurant here in Kuwait. They are made of deep fried battered shrimp roasted on rice cracker with teriyaki sauce. Absolutely fabulous! I loved it the most! I asked the waitress to keep the extra apple sauce and the teriyaki sauce for later.. since we like to experiment with different sauce. The Ebi Shitake Tempura was also good, and I tried it with all the different sauces available (it originally comes with light tempura sauce)... I liked it best with the sticky teriyaki sauce. *Big Ben (crab, shrimp, mango, smoked salmon wrap)... the smoke salmon wrap was AMAZING! And with the mango it was tickling my taste buds! Loved it!! *Ebi Tempura Ura (fried shrimp and sesame seed wrap with tartar sauce) my favorite out of the four sushi items we ordered! My disappointment was in Chicken Vs. Beef dish. It came with three different sauces and mixed veggies. The chicken tasted like nothing, I did not like it at all... beef was better, but a bit dry. Beef won against chicken but it wasnt impressive at all! I would've loved if they asked how we wanted it cooked... I would've chose medium! The veggies were not bad, so I ended up eating the zucchinis hehehehe. Price? All this was around KWD26 something... but our bill came out to be KWD20 with the Flex discount voucher! Not bad! Overall experience was amazing... would I go back? Yes! Without a doubt, and will order new items (but will make sure to include those amazing crackers). Service was prompt and satisfying :-) I would give it 4 out of 5! An anonymous reader gave me this link to check when she commented on my Mickey Mouse Must Die post! "Sheikh Muhammad al-Habadan said showing both eyes encouraged women to use eye make-up to look seductive. 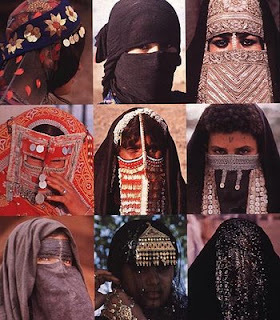 The question of how much of her face a woman should cover is a controversial topic in many Muslim societies." This is insane... now I cant think which is more bizzare! The Mickey Mouse fatwa or the one-eye veil fatwa! What do you think? To read the BBC News full article, click here. I was walking around with Hamitaf.. here and there, and everywhere around the ZDistrict area, snapping away pictures as we were walking.... till it suddenly gone a lil wonky... Speedy passed by us so fast! Eshda3wa!! Take it easy man!!!! A few minutes later we ran into Ananyah who was walking around wearing her dreamy smile, and Rashisha who was videotaping Mama De Moda, wearing a very beautiful Pearly earrings, while shopping a la Kuwait-Style! "Anything goes! I am fine, as long as its healthy diet food for Rashisha's sake"
We decided to call Chika, since she knows the Kuwaiti Network really well! She suggested we try out Grey Fort Indian restaurant... I was fine, but was worried Hamitaf would not like it since she is a fastidious eater! Surprisingly, she was the first to agree! The day was going fine, till I started feeling sick... so we rushed into the ER to get some medical help. The patient before me was taking forever and I was in pain! I felt like KILLING THAT DAMN PATIENT!!!! But thats the system here in Kuwait!!! !